Our Counselor-In-Training (CIT) program is the first step in the transition from camper to staff member. This program is for those who are ready to take on new challenges, opportunities, and responsibilities at camp. Participants in the CIT program will gain a meaningful leadership experience while actually putting the skills they develop into practice on a daily basis. Camp is an ideal setting that aids in the development of important life skills such as communication, problem solving and cooperation, all in the same fun, magical, creative culture that keeps campers returning summer after summer. 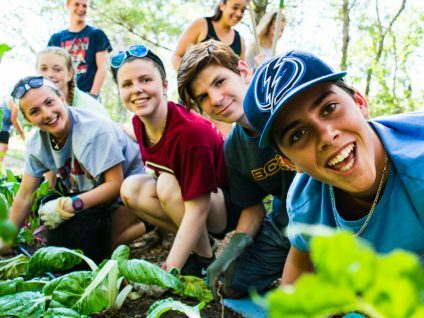 Help create the fun and unique culture that makes camp so special! Applicants for the CIT program must be at least 16 or entering the 11th grade by the start-date of the session to which they apply. Distribute 3 references as part of the application process (see application for more details). When we have received your application and all three reference forms we will contact you with interview dates. CIT interviews are held in Hanover, MA in early February. Phone Interviews are also available.